In Seattle, whole-house remodels can take a year or more. Whether you want to renovate a home you just purchased or one you’ve lived in for decades, you may be shocked to find out just how long it takes. To make the process faster and easier, let’s break it all down. Allow a month or two to choose a designer. A gut renovation is one of the most involved home projects imaginable, and your designer will be integral to its success. Take your time to find a designer or design-build contractor who communicates well and understands your vision. You will thank yourself later. The design process may last two to six months. The time it takes depends on the company you choose and several other factors: if they have a queue to get started, how refined their process is, how complicated the project is, and what level of detail is included in the specifications. If you have never remodeled your home before, you may be surprised at how many decisions there are to make. It’s best not to rush. Taking the time to carefully choose layouts and finishes helps ensure you will be happy with the result. It can take five months or more to get a building permit. Seattle’s permitting process has many steps and can stretch on for months. After waiting two weeks for the city to assign you a project number, you’ll wait even longer (two to four months) for your “intake,” the day you’ll be able to submit your complete set of drawings. City staff will review your plans (another two to eight weeks) to ensure they comply with all relevant building and safety codes. In most cases, you’ll go through at least one round of revisions (another one to four weeks), and only then will the city finally issue your permit. That said, there is a quicker alternative: Some simpler projects may be eligible for a “Subject to Field Inspection” permit, which bypasses the detailed plan review. A knowledgeable designer or design-build contractor can guide you. Construction will take three to five months. Many homeowners are surprised to find out that the building phase of their project is quicker than the design and permitting phases. Of course, this depends on how organized and focused your builder is and the degree to which you can stick with your original plan and design choices. Most builders will create a detailed schedule of the construction process and share it with you. Make your remodel go faster. Remodeling a home in Seattle can take longer than in other locales, but that doesn’t mean you must sit back and wait. While some factors are out of your control, there are steps you can take to complete your remodel as quickly as possible. Be decisive: Try to decide everything during design and avoid making any major changes after construction begins. Limit your scope: By focusing on just the problem areas of your home, your project will be quicker to design, permit and build — and you’ll save money, too! Choose a company with reliable subcontractors: Nothing slows down a project more than subs who don’t show. Choose a remodeler who has established relationships with reliable tradespeople. Avoid contractors who are juggling too many projects: We’ve all heard horror stories of remodels that dragged on forever. 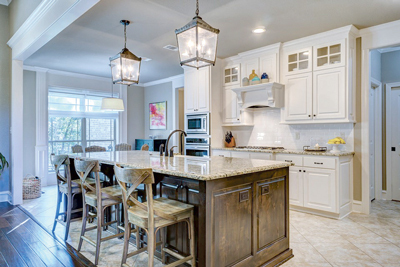 Choose a remodeler who can give your project the undivided attention it deserves. As you can see, remodeling doesn’t happen overnight, especially in busy Seattle. If you are considering a major renovation, it’s best to start reaching out to remodelers as soon as possible. With realistic expectations and the right team, your vision of a transformed home is within reach. 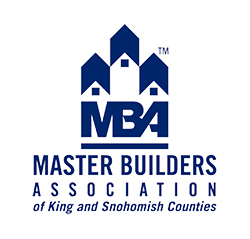 Denny Conner is the president of CRD Design Build and is a member of the Master Builders Association of King and Snohomish Counties (MBAKS).